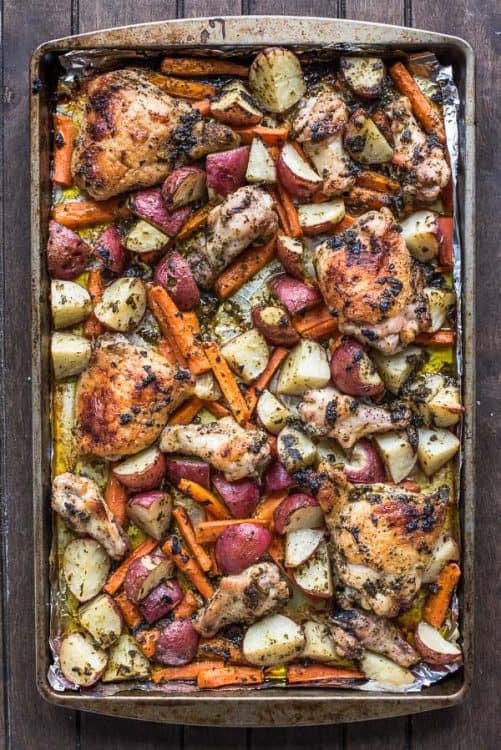 19 Mouth-Watering Sheet Pan Meals for Dinner Tonight! 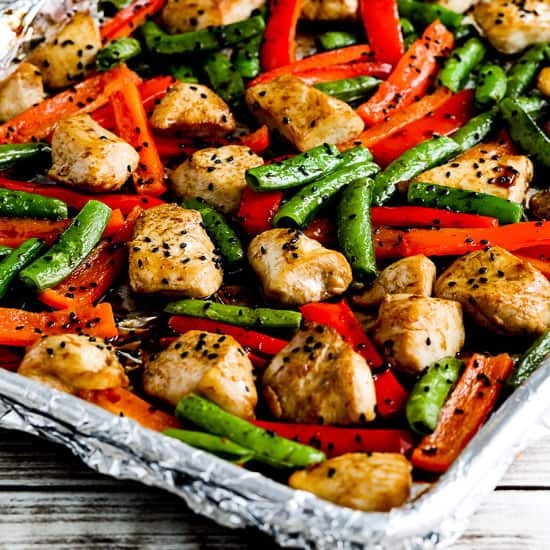 Sheet pan meals are a food trend that started recently. But, the concept itself isn’t so new. Essentially it’s just roasting meat and/or vegetables with spices. But, you do all the cooking on a single pan making it easy to cook and clean up. 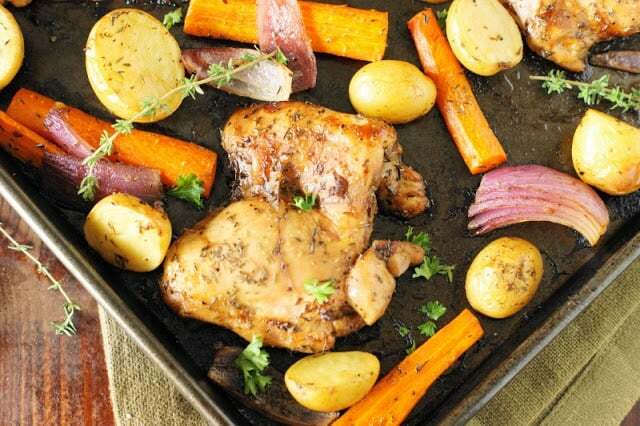 If you’ve got a flat sheet pan, that’s all the equipment you’ll need. Really! 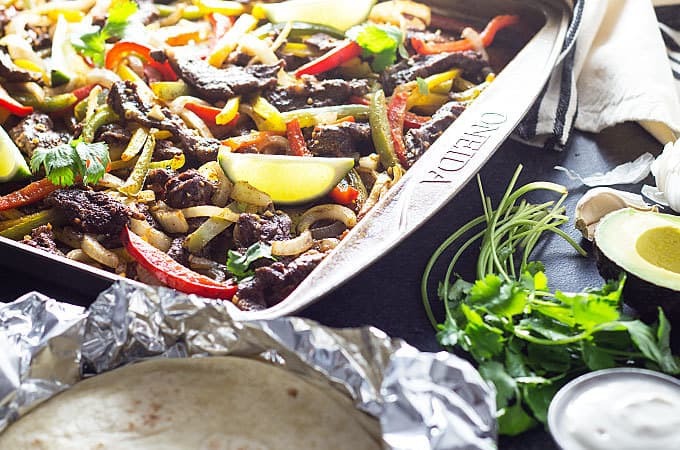 There were two recipes that kicked off our love for sheet pan meals – nachos and chicken fajitas. Now nachos are on our weekly rotation and I’m drawn more and more to the recipes that makes meals so simple. I’ve put together 19 great recipes in this post that are pork and alcohol free – they’re also naturally gluten-free making a few great meal ideas for those who have dietary restrictions. I’m certain that adding truffles to anything makes them better and this looks off the chart. Eat it alone or make them into a buddha bowl! If it’s got Mexican flavors it’s a hit in our house. I’d make extra if I were you as these get eaten quickly in our house. 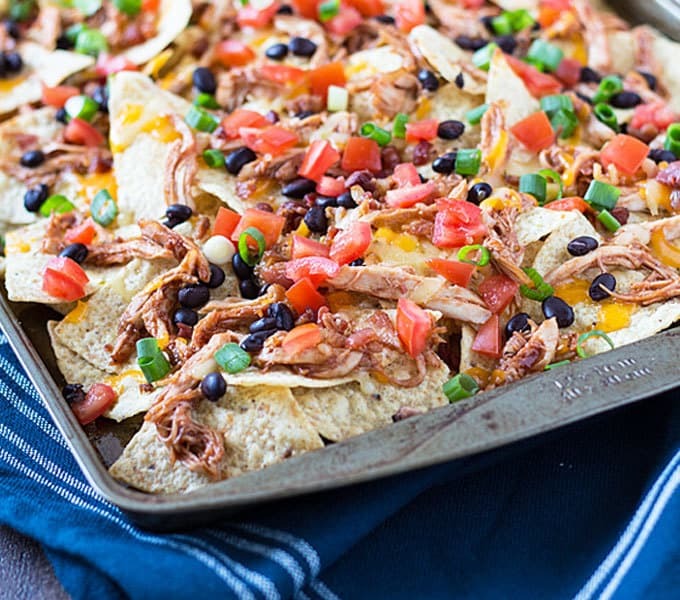 Nachos were the first sheet pan meal we tried and since then they are a weekly meal request. We sometimes leave all the toppings off and each person can add to their section of the tray as we eat. This keeps everyone happy. Have you wanted to try parsnips but never found a good way? This is an excellent recipe to do just that. The mustard and parsnip flavor goes together really well and even though this is healthy, no one will be complaining thanks to great flavors. 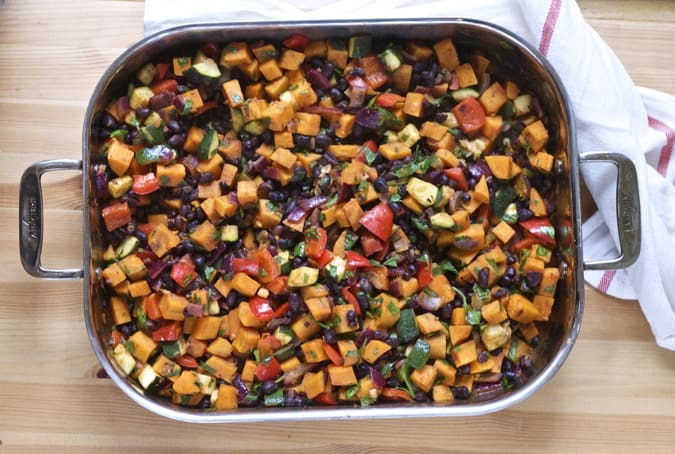 This might not be your main dish but makes for an excellent side dish! 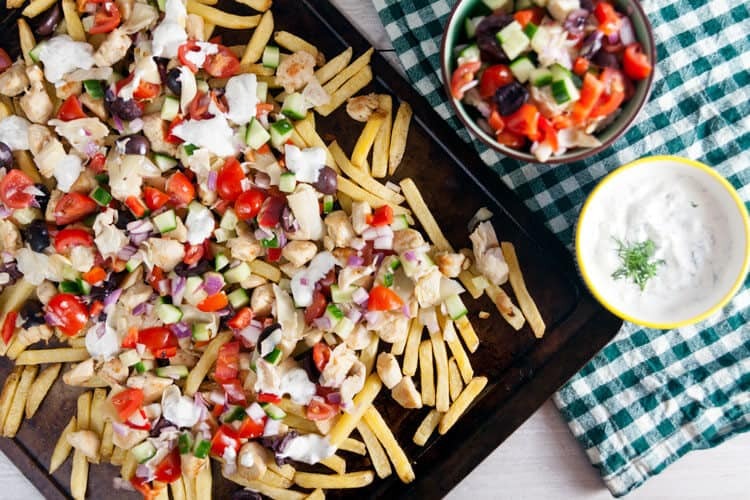 Then again get some gyro meat and add to the top and it’s pretty balanced – for a treat meal! 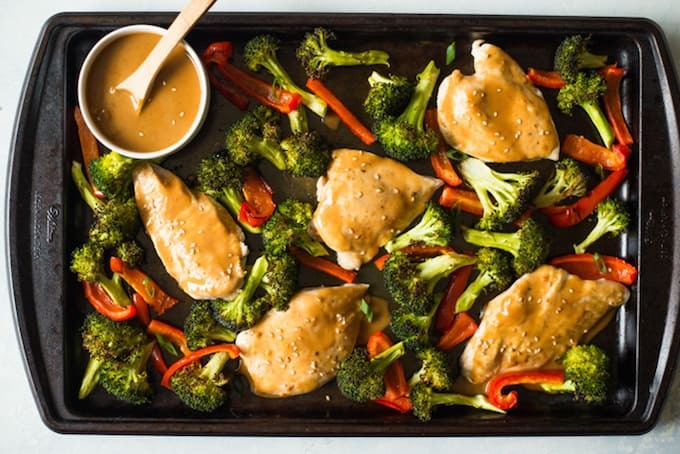 Not only is this easy sheet pan meal simple to make but it’s super fast. 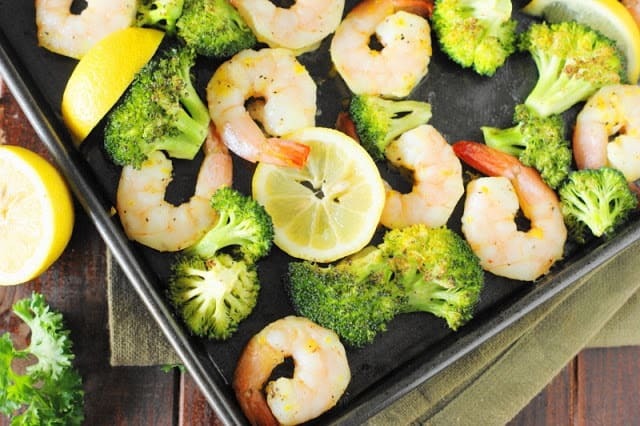 Shrimp doesn’t need to cook long to be ready to eat and no one wants mushy or crunchy broccoli – making this recipe perfect. I add even more lemon to mine but what can I say, I’m a lemon lover! I also may be guilty of using butter instead…no judgment! Is there anything better than balsamic vinegar? I think not. This is great on it’s own, add in a fresh loaf of bread to soak up any extra juice too. So good! 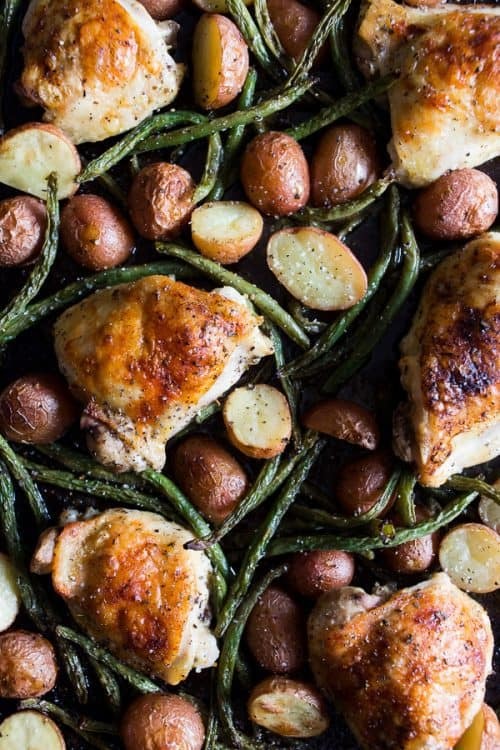 Roast potatoes, beans and chicken – it’s all the makings of a great meal. 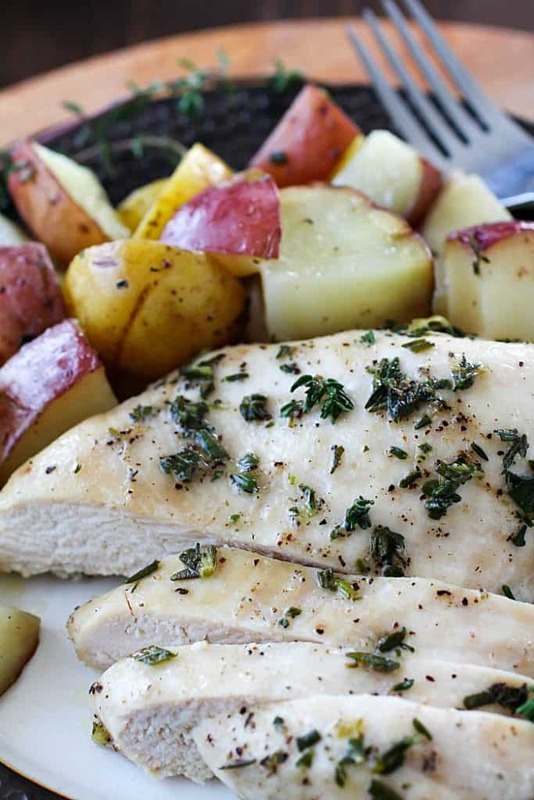 If you prefer white meat, chicken breast (bone in) works in this recipe too! Believe it or not my oldest son loves tofu and this recipe was a hit. If you’re on the fence about tofu this is a great way to give a little more texture and flavor. We’re sold! Give us brussels sprouts any day – especially roasted. 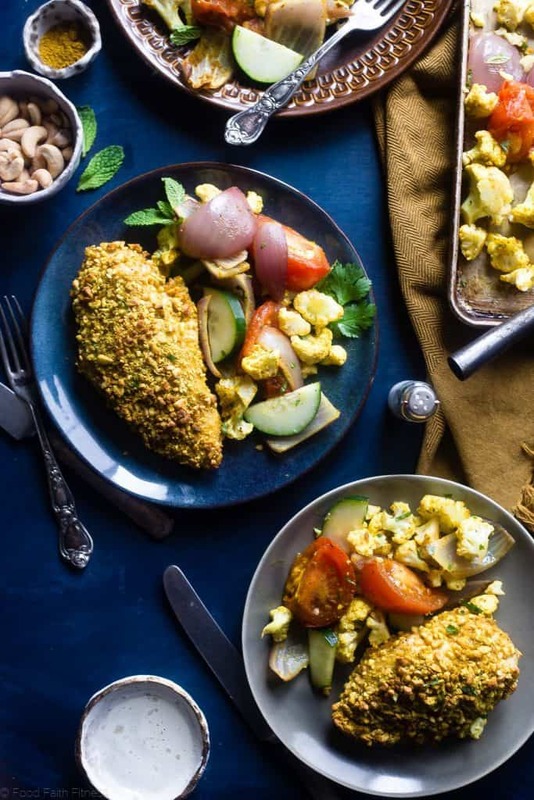 This dinner comes together quick and easy, perfect for days when you’re in a real rush but want something healthy and packed with flavor. 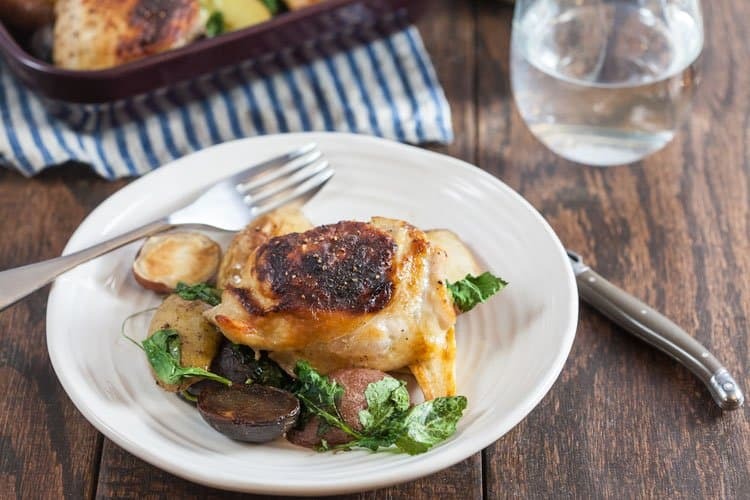 If your kids are like mine and prefer chicken breasts over any other type of chicken then this recipe is for you. With easy ingredients that can be swapped for whatever you’ve got on hand this is a good recipe to keep on hand. You can use fresh or dry herbs for this recipe but I can’t think of a better way to make use of fresh spring herbs. Mix a little of this and a little of that for a healthy dinner that is full of flavor. Pesto isn’t just for pasta and this recipe is a good way to use up any extra you may have around and are wondering what to do with. Mmmm…basil and garlic! Make this dish into your own buddha bowls or grab some wraps or tortillas and fill them up. Whip up some guacamole or chipotle creama to take it over the top. 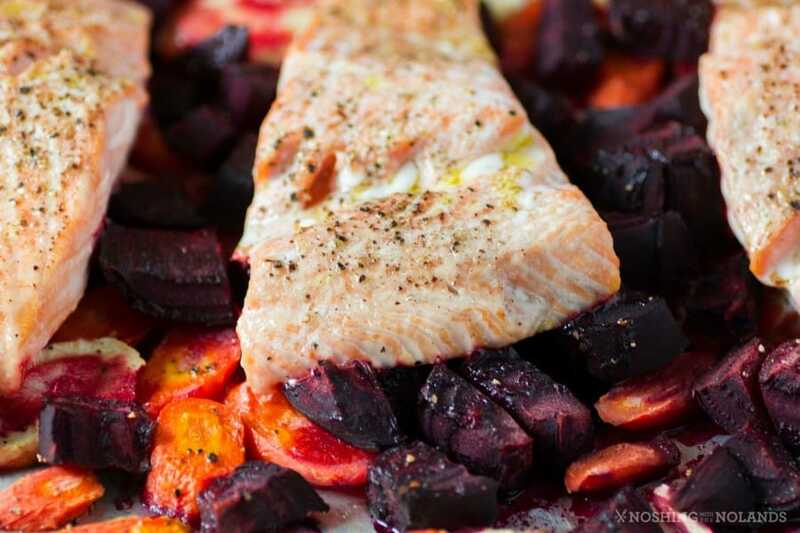 You can’t beat a recipe that uses beets! If you’ve never roasted them before then this is the way to try them. The zing of horseradish packs a punch too. This might be the recipe I am most excited about. 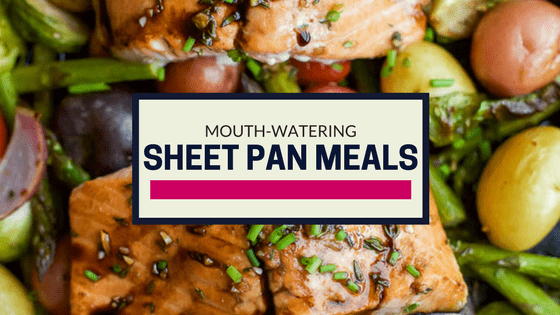 Many sheet pan meals combine similar ingredients but not this one! If you’re looking for something different to try, this is it – and if you’re doing the Whole30, this recipe is compliant. 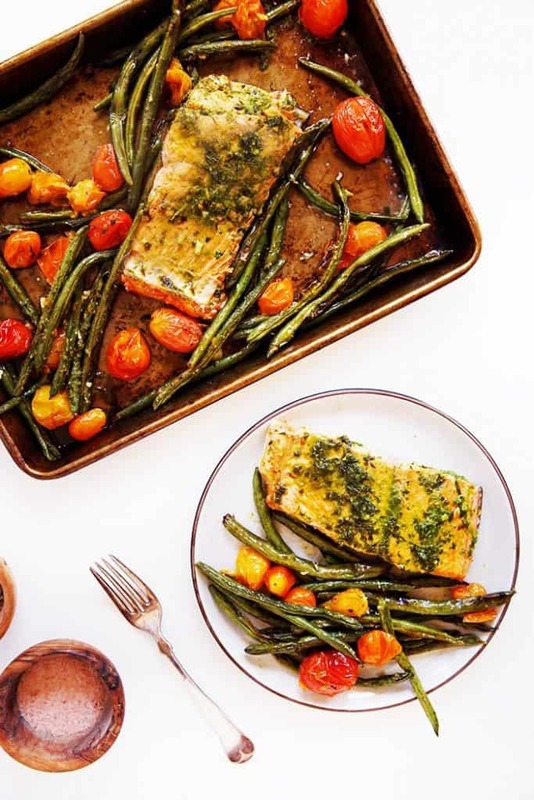 Salmon, butter, herbs and beans – what more could you want? A side of quinoa or rice would compliment this main dish nicely or simply eat as is! 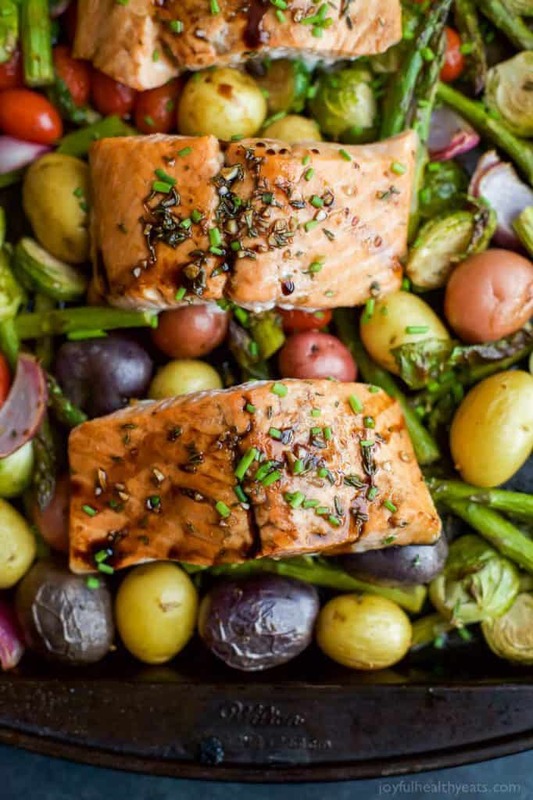 There you have it – 19 great recipe ideas to make dinner time fast and easy at your house. 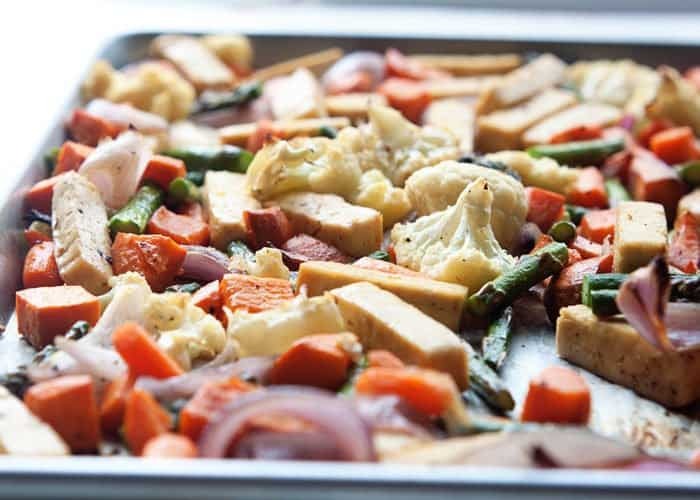 If you’ve never tried sheet pan meals, I highly recommend it and think you’ll fall in love as much as our family has. 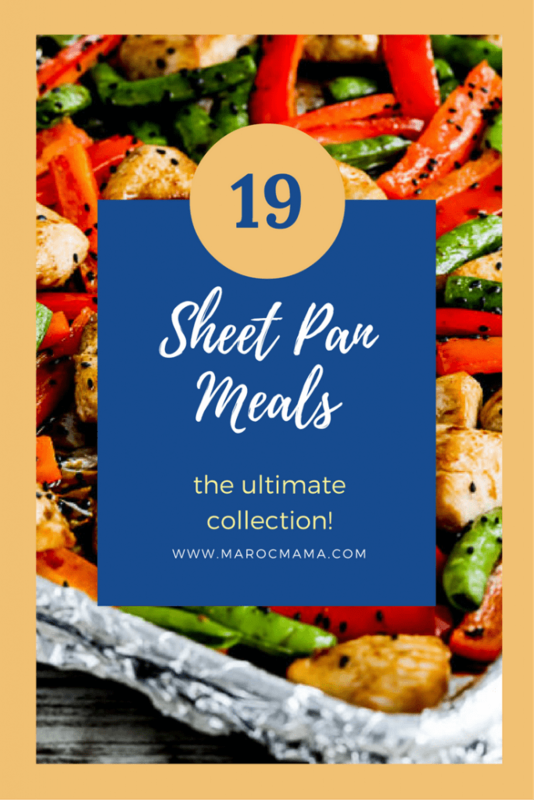 What a fabulous roundup of sheet pan meals… thank you so much for including me!